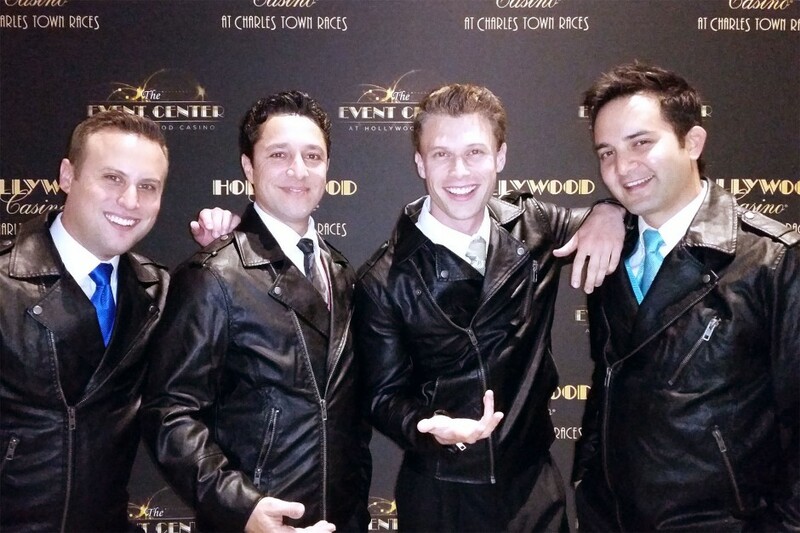 Walk Like A Man, headed up by Val Martinez, brought down the house this past weekend at the Hollywood Casino in Charles Town, West Virginia. It was remarked that absolutely no-one left during the entire 90-plus minute show. Indeed, the entire house jumped to its feet in a lengthy standing ovation as the Jersey Boys review concluded its tribute to Franki Valli and the Four Seasons. The act held everyone’s attention with fast-paced comedy, energetic dancing, and some good, old-fashioned four-part singing. The back-up band, a group of seasoned professionals from L.A. headed by Michael Preddy of Smothers Brother fame, played the music with conviction and skill. They were topped off with added horn players from the local area who gave the show a polish that left one feeling this group is the complete package. This is a show which would be a smash-hit in any casino in Nevada or Jersey, and indeed, rather than being a distraction, the audience felt as though they were in on a very special moment as they saw how real professionals work their way through the occasional technical gremlin. I give Walk Like a Man a big thumbs up and hope the next time they perform here, the group is given an extended stay; I am anxious to see the show when the tech is firing on all cylinders. These guys Walk Like a Man!